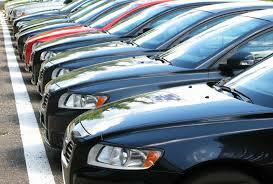 Auto dealerships are housed within a highly competitive marketplace. Not only are these organizations pitted against local and regional competitors but are also focused on maintaining momentum in an ever-changing industry. At King Insurance, our goal is to design customized insurance coverage to protect assets of Florida dealerships from the risk of loss. We recognize it’s a challenge for auto dealers to generate income, comply with government regulations, and secure customer satisfaction. As a result, our agents strive to make our process of securing coverage as efficient as possible. Like selling cars, insurance is a competitive market, and our edge resides an ability to conduct business faster than competitors while retaining accuracy and cost effectiveness. For further insight into the options available exclusively for auto dealerships, please contact an agent today. When buying a car, individuals are often comforted by the fact service from the dealership continues long after the purchasing process. From accessibility to knowledgeable personnel to routine auto maintenance, your business relies upon ongoing customer care. Our insurance agency operates in a similar fashion, with consistent policy reviews and contact with licensed agents. Accessibility extends beyond the confines of our Gainesville, Florida location. Just as our agents stay up-to-date with advances in the auto and insurance industries, we also remain tech-savvy. There is no need to interrupt your day to visit our office. Through our advanced system, documents can be signed on your phone or tablet, payments can be instituted electronically, and the policy production process can begin by simply requesting a quote. At King Insurance, we’re proud to provide auto dealer insurance in Gainesville, Ocala, Tampa, Orlando, Daytona Beach, and Jacksonville, FL. We’re licensed to serve clients in a selection of states, including Alabama, Florida, Georgia, New Jersey, New York, North Carolina, South Carolina, Tennessee, Virginia, and West Virginia.